Choosing a good South Carolina trial lawyer can be one of the most important decisions your family may make. Whether looking for an auto accident injury attorney, a criminal defense lawyer, or a lawyer able to handle a real estate closing, the choice of an attorney can sometimes mean the difference between failure and success. That being said, a surprising number of South Carolinians do not have sufficient information available to make this critical choice. Many people simply ask a friend or family member for recommendations when they are seeking a qualified attorney. Although this can be a good starting point, it should not be the end of the process. A good South Carolina divorce lawyer may not have the experience to act as an auto accident attorney, a criminal defense lawyer, or a workers’ compensation lawyer. Just because a lawyer is competent in one particular field does not mean that he or she has the skill to handle other areas of South Carolina law. At Kinard & Jones, LLC, we have broad legal experience in a wide variety of areas, including Personal Injury, Wrongful Death, Workers' Compensation, Workplace Injuries & Industrial Accidents, Real Estate, and Criminal Law. Firm founder Murry Kinard has lived in Lexington for most of his life. He graduated from Lander College in Greenwood, South Carolina, and the University of South Carolina School of Law in Columbia, South Carolina. Mr. Kinard understands the concerns of the Lexington community and practices law with the principles that are important to almost everybody he knows: honesty, integrity, and efficiency. He has distinguished himself through his work over the years in a wide variety of areas, including Personal Injury, Wrongful Death, Workers' Compensation, Workplace Injuries & Industrial Accidents, Real Estate, and Criminal Law. 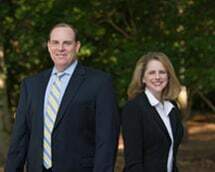 His law firm represents clients throughout the Midlands, including Lexington, Columbia, and other communities in the counties of Richland, Lexington, Aiken, Saluda, and Newberry, SC. Before opening the doors of his own law firm, Mr. Kinard worked at the Walker, Morgan & Kinard law firm in Lexington, South Carolina, for over ten years. He also served one year as a law clerk for the Honorable Thomas L. Hughston, Jr. retired Circuit Court Judge. Mr. Kinard’s office is located in a historic building that served as the law offices of former South Carolina Governor George Bell Timmerman. Mr. Kinard is a member of the South Carolina Bar Association, the Lexington Bar Association, the South Carolina Trial Lawyers Association, and the South Carolina Criminal Defense Lawyers Association. We proudly represent families throughout the Midlands, including Lexington, Columbia, and other communities in the counties of Richland, Lexington, Aiken, Saluda, and Newberry.